The New Year is just around the corner and now is the perfect time to start planning for it. One of the best things that you can do for yourself in 2018 is to get organized. I know, that sounds scary, doesn’t it? It takes a lot of work to get yourself organized, and that’s doubly true when you have a family to take care of. If you really want to start getting organized and making better use of your free time, I have a nice list of 25 DIY calendars and planners that will help you to get started. Organization is one of my passions. To be perfectly honest, I’m not always together and totally organized. I let things fall through the cracks sometimes just like anyone else but I do try to keep things neatly in place. It just makes for a much more productive day if you begin with organization and these DIY planners and calendars are absolutely going to help you to make the most of your day. If you really want to get organized in the New Year, be sure to take a look at these 60 plastic bin and drawer ideas for organization. They are going to save you so much time! There is just so much joy in having an organized life. I do try to keep things in place as much as I can, which is often difficult when you have kids. School schedules alone can drive you nuts if you don’t keep up with them, which is why I love all of these DIY calendars and planners. You won’t have to worry with missing appointments or forgetting special dates anymore. You can start the New Year off on the right foot and stay organized…and sane…all year long. And, you’re really going to love these 25 organization ideas with file folders and magazine racks for helping you to keep things up and out of the way. 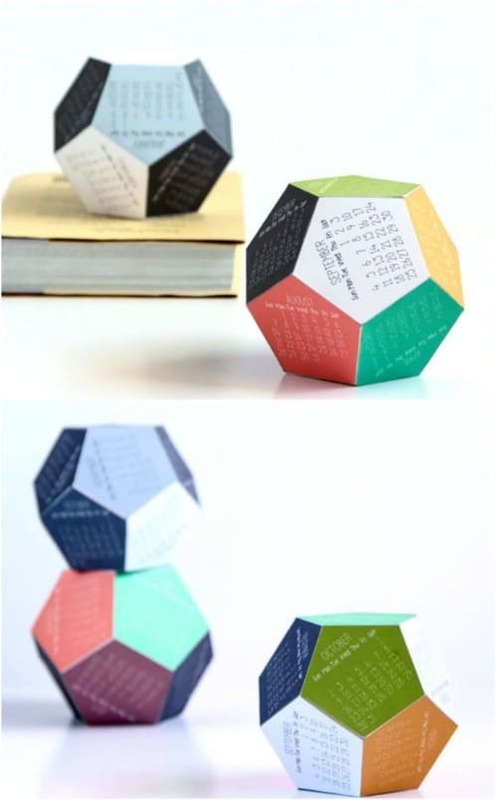 You make this great 3D calendar from cardstock and it makes the perfect gift. It’s great for keeping on your desk and there is no need to flip pages to turn from one month to the next. It’s all there – you just turn the calendar over to the month that you want to display. Just print the months off for the New Year and then assemble. This little calendar journal is great and it is really easy to make. 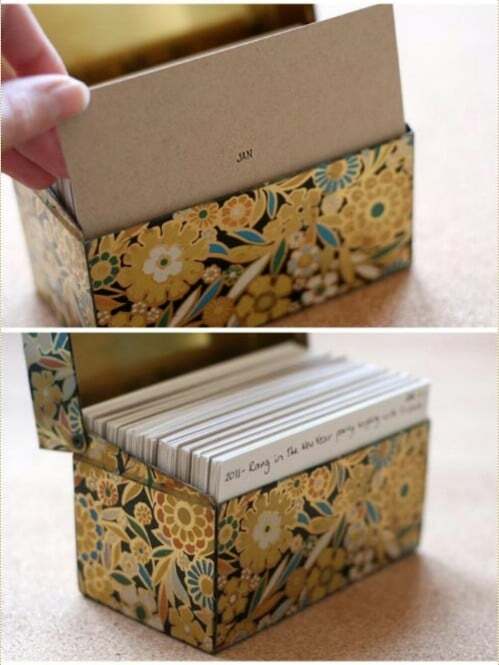 This would be such a wonderful gift or you can use it yourself to make notes of things that you want to do each day. Or give yourself a little motivational quote to look at each morning. The possibilities are endless and the finished product is just gorgeous. Paint samples are so cheap – many stores may give them to you. Ask your local hardware store about samples of discontinued colors. 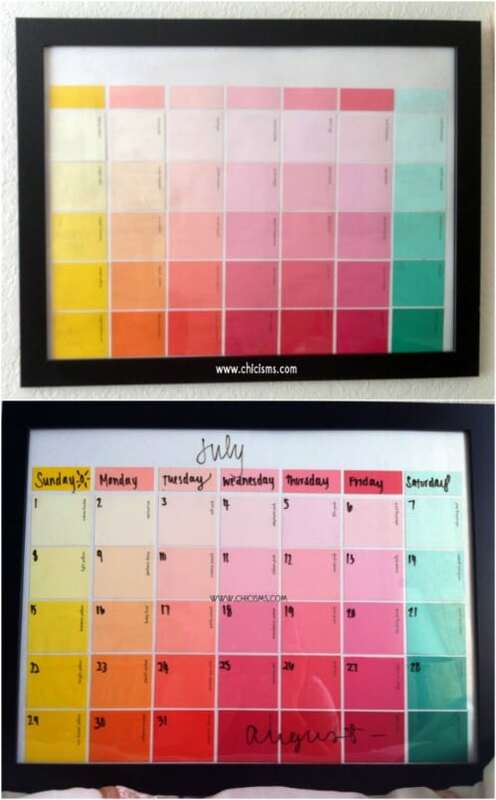 Anyway, you can use those paint samples to create this gorgeously colored calendar. You just need a cheap frame from the Dollar Store and you can make this a dry erase calendar that is easy to change from month to month – and to keep your notes of important dates. This Instagram calendar is perfect for teenagers who love using the app. 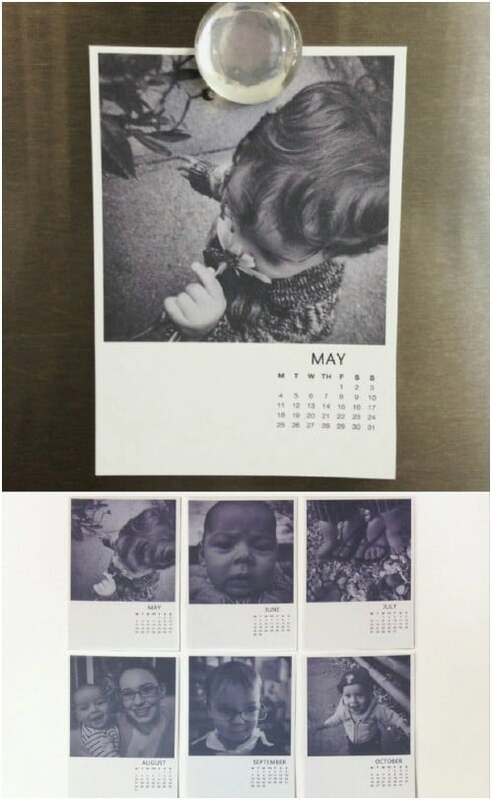 You just take your favorite Instagram photos and turn them into a desktop calendar. 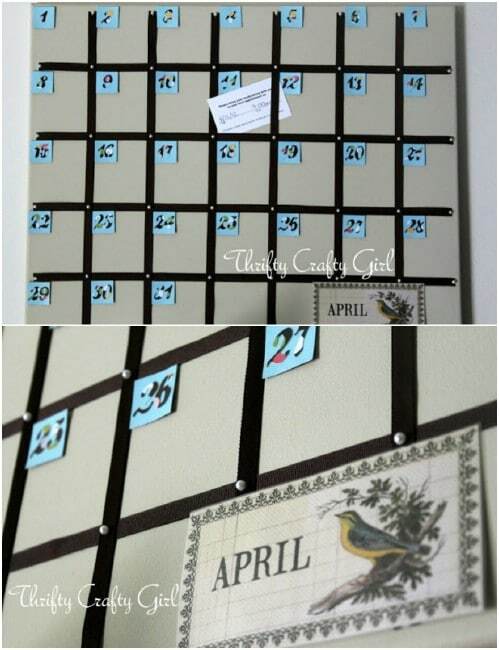 This is such a neat idea and it is one of the easiest and cheapest DIY calendars that you could make. You can use cardstock or construction paper to give your photos a backing and then just put them all together into this great little calendar. How adorable is this bicycle wheel turned calendar? 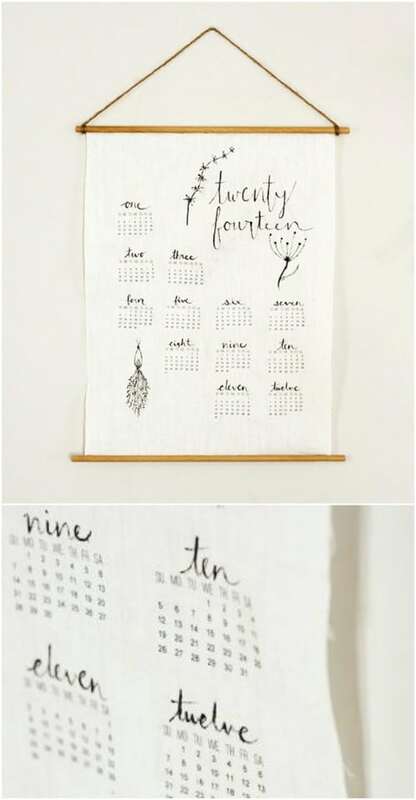 I love the vintage look of it and this is a really simple calendar to make. 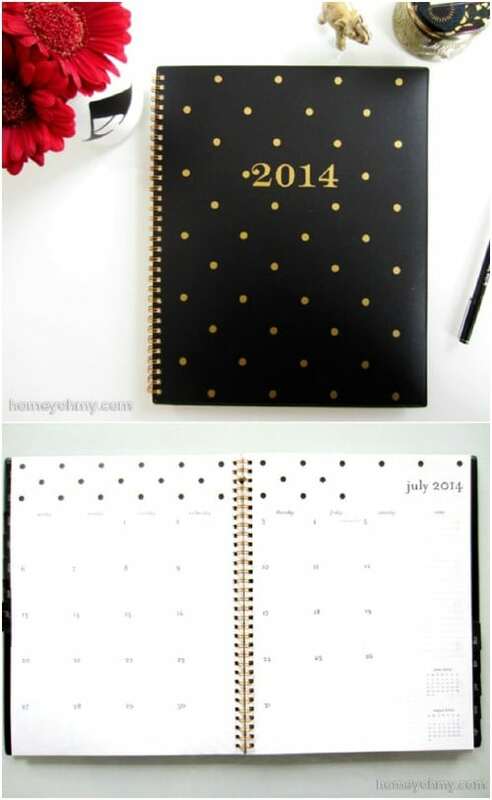 It is also a chalkboard calendar so you can easily change it out from week to week and you have plenty of room for keeping up with all of those appointments and meetings. Kids will especially love this one -and it would make a wonderful gift. There are so many wonderful repurposing projects for old tires and wheels. This canvas calendar is perfect for keeping appointment notes and other papers handy and organized. You make this from canvas and it runs from month to month so you change it up every month. It is really easy to make and it is perfect for your home office or even the kitchen. You could keep your bills right there on it right by the day that they are due and keep doctor’s appointment notes handy, too. This perpetual chalkboard calendar is great because you can use it again and again. You just change out the month and days each month. Plus, there are little clothespins hanging at the bottom so that you can keep notes, bills and other important papers really close and on hand. And, this one only takes about an hour to make and that includes the time that it takes to dry. This wooden box calendar is great. 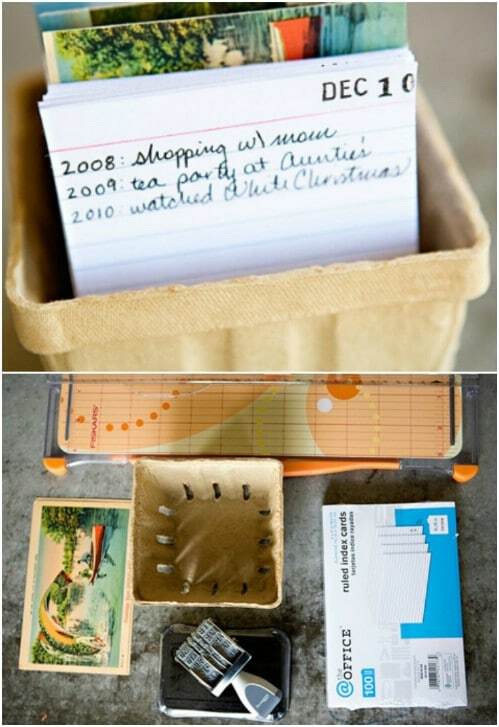 Not only is it really easy to make but you can do the days of the months with index cards and they all store beautifully in a wooden box. You could even build the box yourself if you wanted. These types of calendars are great for leaving yourself a little motivational quote every morning or for when you really need to jot things down to keep your busy days organized. Here is another beautiful photo calendar and this one is perfect for grandparents over the holidays or your Mom on Mother’s Day. You just print off your favorite photos in black and white – or you could also do color if you prefer color – and then assemble the gorgeous calendar. You could turn this into a hanging wall calendar or get a clear plastic box at the Dollar Store that is perfect for making your own photo cube calendar. What a wonderful calendar to add to your desk. 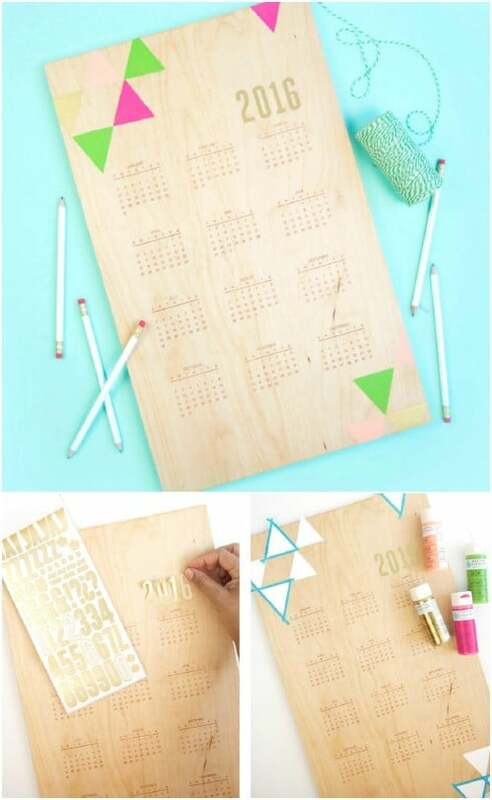 This wooden calendar is stamped by hand and it is really pretty easy to DIY. You will need to hit up your local craft or hobby store for a few supplies like a permanent ink stamping kit and an acrylic block. 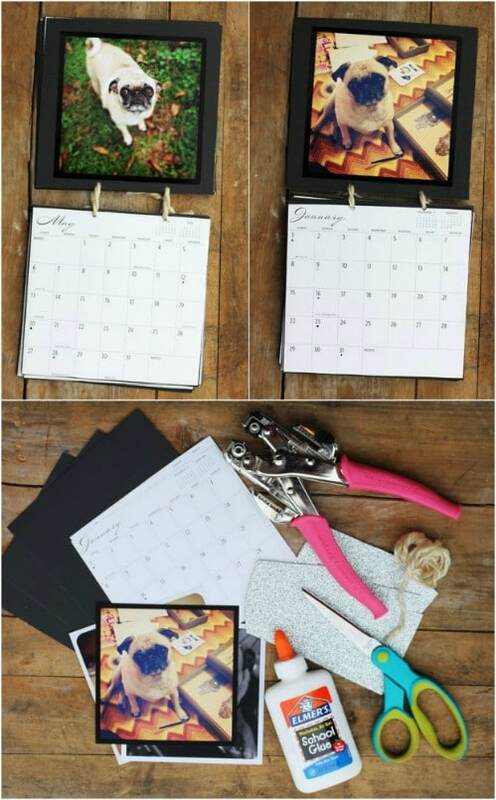 This one is actually much easier than it looks and it creates a gorgeous permanent calendar that makes a wonderful gift. Take an ordinary planner, that you can get at the Dollar Tree for just a dollar, and turn it into a gorgeously decorative and personalized planner for yourself or someone special. This one is super easy and you actually start with a planner that is already made, so your only task is to personalize it and add the decorative elements. This would be a great stocking stuffer for the holidays or an anytime gift. You can put your calendar right there on your wall – if you own your home, that is. Or, you could do this one on a canvas or a large poster board. You use masking tape to separate the days and weeks and there are so many wonderful colors and designs of tape these days so you can completely customize this one and make it totally unique. You gotta love those duct tape life hacks. Kate Spade items are great but they are a little pricey. If you want something that looks like the original Kate Spade but you don’t want to spend that kind of money getting it, check out this Kate Space inspired striped planner. 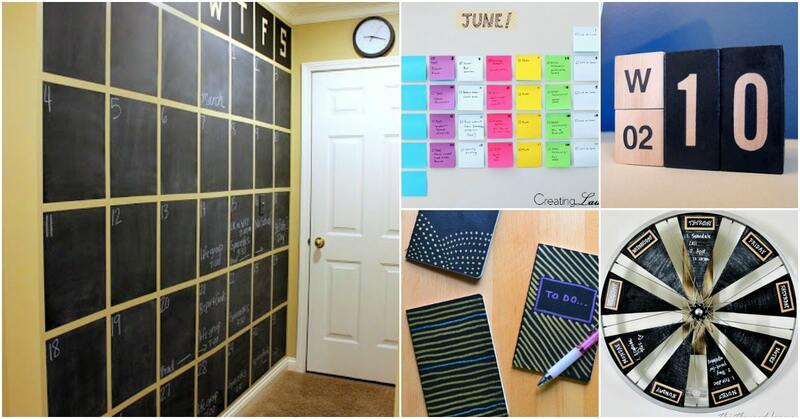 You use an ordinary planner and duct tape to get the look and it really does look like those Kate Spade planners that cost about $30 or more each. 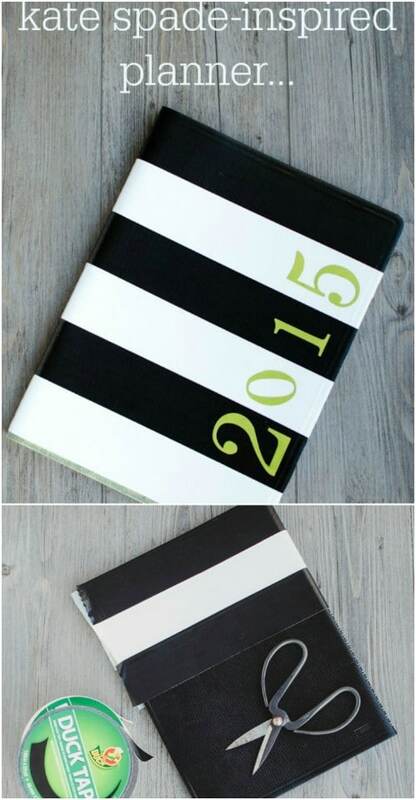 Here is another great personalized planner that you can easily DIY. 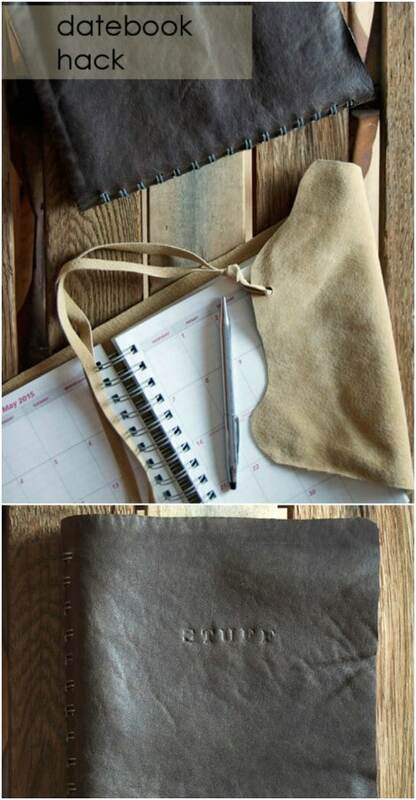 You just wrap an ordinary planner in leather. Well, it’s a bit more complex than that, but you get the picture. This one is super easy and it makes a beautiful planner that looks like you spent upwards of $50 or more on it – and it makes a wonderful gift for anyone you know who loves (or needs) to stay organized. My mother had a linen wall calendar hanging in the kitchen when I was growing up and I loved it. It had such a great old fashioned look to it. Now, you can make these linen calendars, which are absolutely the best gifts ever! These are so simple and you won’t spend long at all making one, so you have plenty of time to make one for all of your friends and family. Turn ordinary little notebooks into personalized pocket planners. Everyone needs a tiny calendar to carry with them to remember important dates, right? I have one in my purse right now because you just never know when you need to jot down an important appointment. 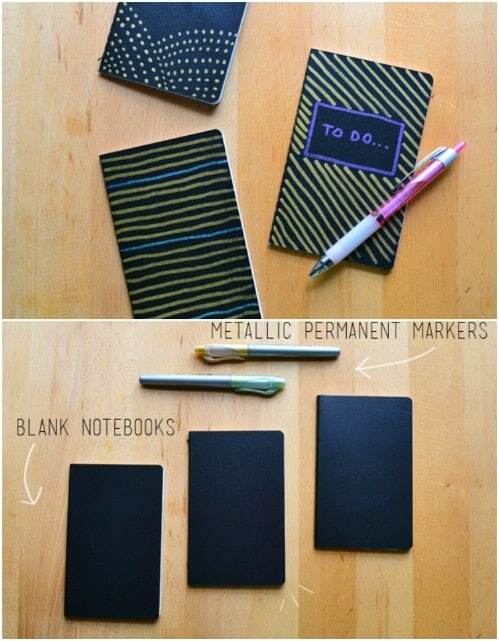 These use permanent markers in metallic colors to add design to ordinary notebooks, and you can add calendar pages to turn them into pocket planners. A perpetual calendar is great because you can use it month after month or week after week. It’s not one of those permanently labeled calendars that you have to throw out at the end of the year. This perpetual calendar in particular doubles as a cool pencil or pen holder so it’s perfect for your desk – or the desk of your teenagers. If you have students who need to remember important tests and other dates, this would be a wonderful calendar for them. 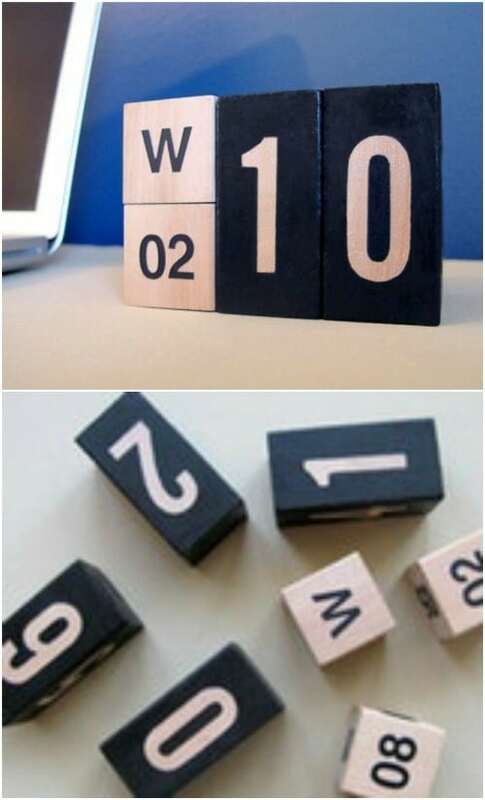 How about a perpetual calendar that you make from wooden blocks? This one is really gorgeous and has a wonderful farmhouse quality to it. If you want something that is going to go well with your DIY farmhouse furniture and décor, then this one is definitely it. Plus, it is really easy to make and you don’t need a lot of supplies to make it. You may even have everything on hand already. 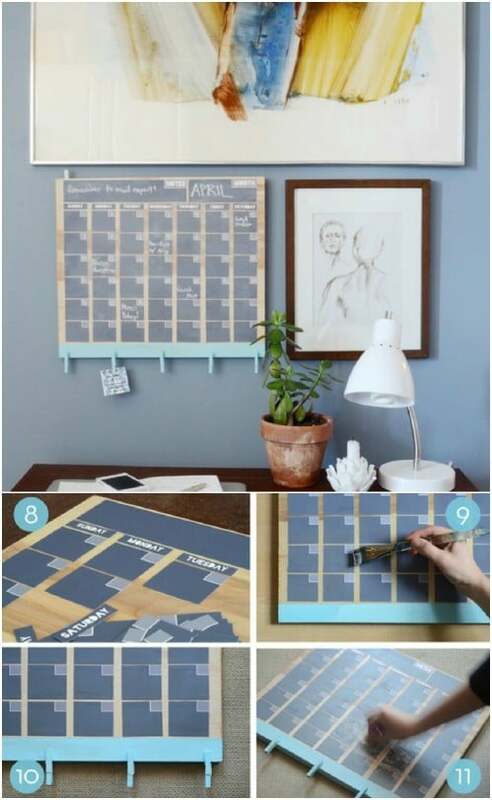 This great calendar flips up so you can easily change the dates. 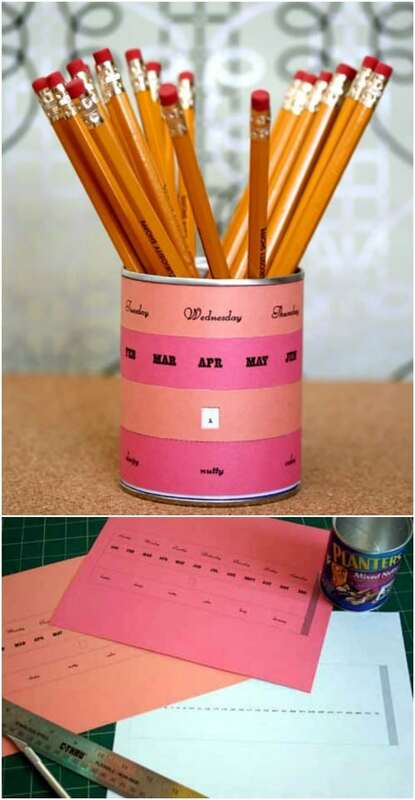 It is just the numbers, so for this one you will want to have a pretty good grasp on the month and the day of the week, but this is great for keeping by your desk so that you know what date to write on all of those important papers. Plus, it is super easy to make and you can do it in any number of colors to match your office décor. When all else fails, grab the Post It notes. That’s always been my motto and it is certainly true when it comes to making this really great calendar. 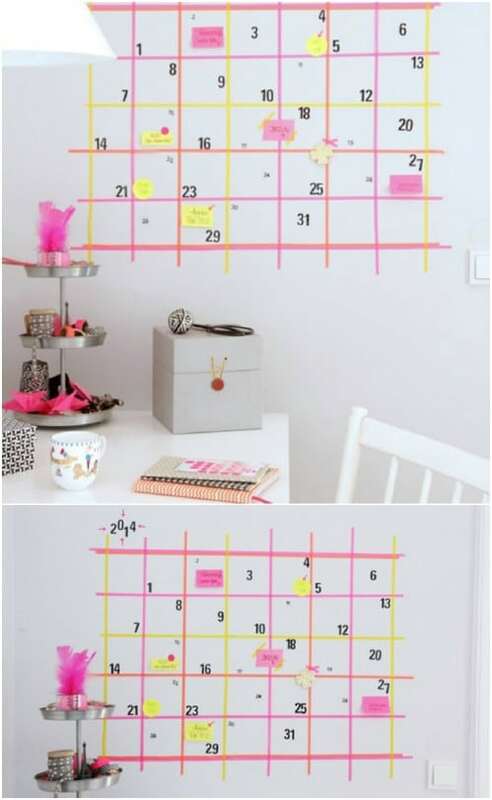 This one is so easy – you just use Post It notes to create a calendar on your wall. Now, if you wanted to make this a bit sturdier and more permanent, you could downsize it just a bit and add it to a frame. Buy a cheap frame from your local thrift store and put your Post It notes on a piece of cardstock or poster board. If you want something really simple and easy, just print off your calendar. You can print calendar pages onto cardstock to make them sturdy and then use them to keep track of all of your important dates. Printable calendars are great because they are really cheap and there are so many templates available so you can completely customize how your calendar looks. Plus, you can add this great DIY tree stump calendar holder to give it a unique rustic look. Postcards are perfect for adding a bit of style and design to your DIY calendar. Take this one for instance. 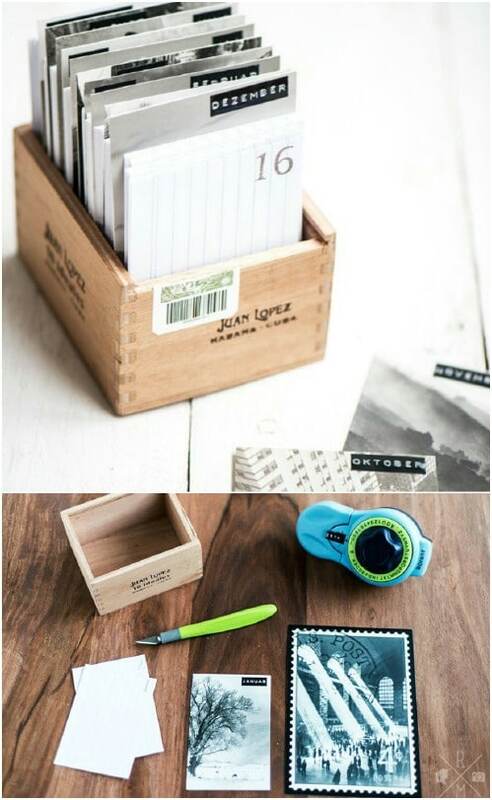 It uses postcards with the days of the week printed onto the back and you can store them in cardboard cartons that you buy fruits and veggies in. How very original! And, this one is really cheap, especially if you have postcards that you want to use. 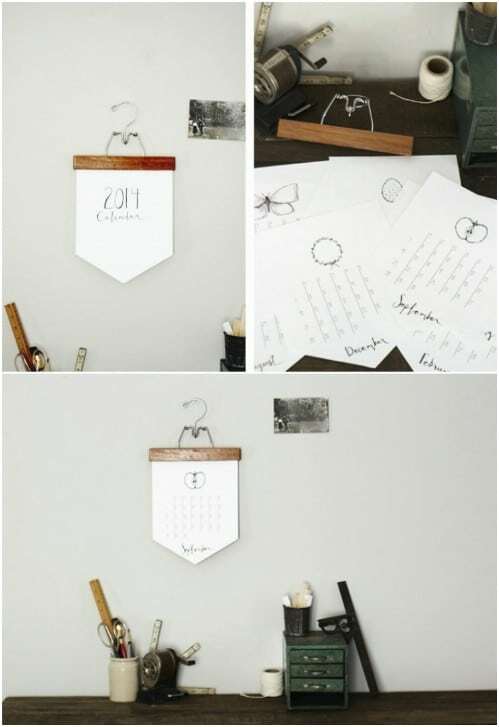 Create a calendar from an old wooden pants hanger? Yes, you can! This one is really cool and it is super easy to make. 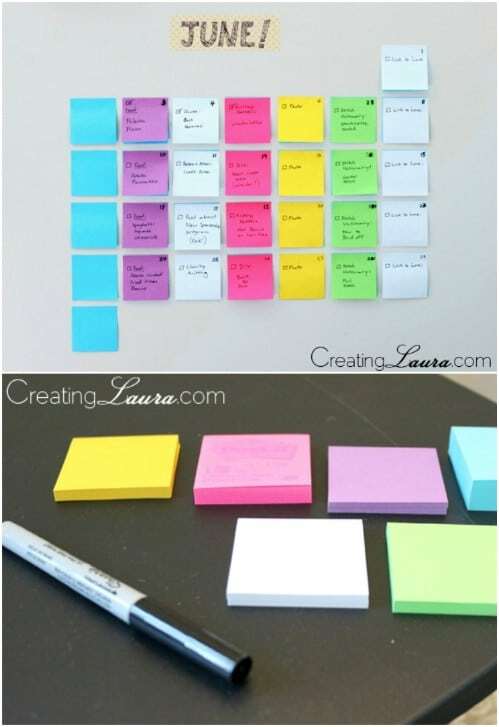 If you have kids who need to learn organization, this is a great project for them. You just need a wooden pant hanger for each one that you create and if you don’t have any wooden pant hangers on hand, you can often find them at thrift stores in bundles of five or ten for a dollar or so. It is always good to know a few hanger hacks. How fun is this full wall calendar? 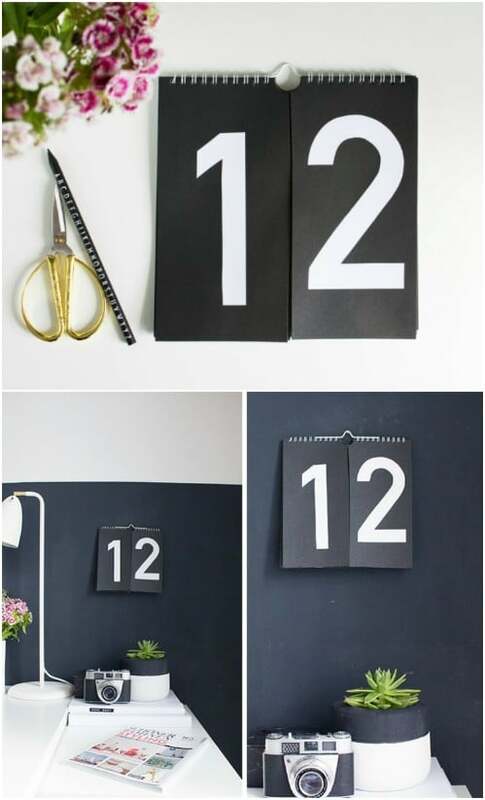 You do this with chalkboard paint and it not only helps you to keep organized, it adds some décor to your hallway, kitchen or any other room you want to put it in. I personally think that this would be perfect for an office – you will never again have to worry about forgetting an important date if you have it right there on the wall. And it is a perpetual calendar so you can use it again and again, year after year. This wood and leather calendar looks like a gift tag and it is really easy to make. The wooden tag holds your calendar pages and the leather strip gives it such a unique gift tag look. This one won’t take you long at all to make. 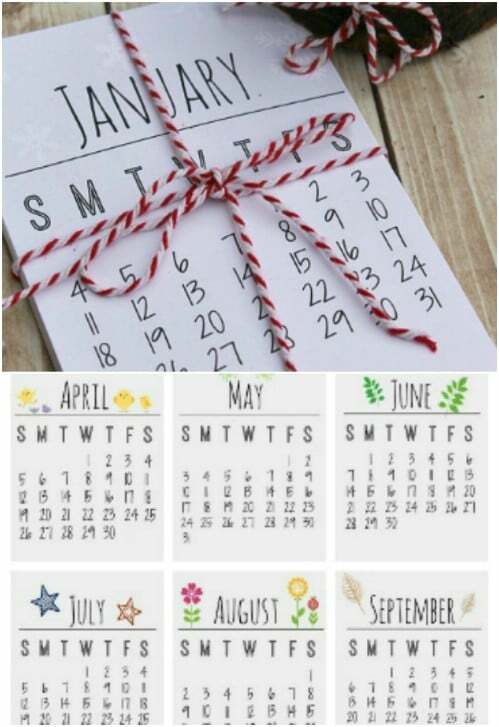 You just have to cut your tag out of a strip of plywood and then you will need to change out your calendar every week or month – or even year, however you want to print it off.